BirdsCaribbean, its members and partners note the controversy surrounding the export of two Sisserou (Imperial Parrots Amazona imperialis) and ten Jaco (Red-necked Parrots Amazona arausiaca) from Dominica to a facility in Germany on March 17th, 2018. Both species are endemic to Dominica, both are globally threatened parrots, and the habitats of both were badly damaged by the passage of Hurricane Maria in September 2017. The Sisserou is Dominica’s iconic national bird, appearing on its flag, coat-of-arms, Parliamentary Mace and other national symbols and instruments. The Sisserou has long represented a unique flagship of national pride for Dominicans. The threatened parrots in question were wild-hatched and most were rescued after Hurricane Maria. 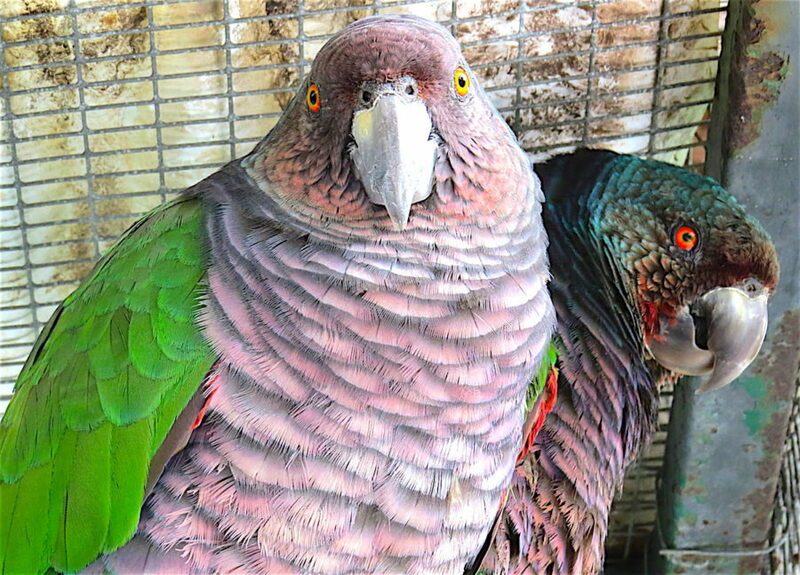 They were being rehabilitated in an aviary operated by the Forestry, Wildlife and Parks Division of the Ministry of Agriculture in Dominica, with the support of Rare Species Conservatory Foundation (RSCF) and International Fund for Animal Welfare (IFAW). BirdsCaribbean understands that the birds were in very good condition—four had recently been released back into the wild. It was expected that the remaining Jaco parrots would also soon be ready for release, where they would have made an important contribution to the survival of the remaining populations. While there is no doubt that disastrous events like hurricanes pose a serious threat to the persistence of endangered species, there is evidence that both species are resilient and recovery in the wild is possible. Dominica’s parrot populations were greatly affected but recovered after Hurricane David in 1979. Their survival has been aided by multiple conservation measures taken in Dominica including parks and protective legislation, community outreach and education events, programs to reduce agricultural conflicts, complemented by research and monitoring. 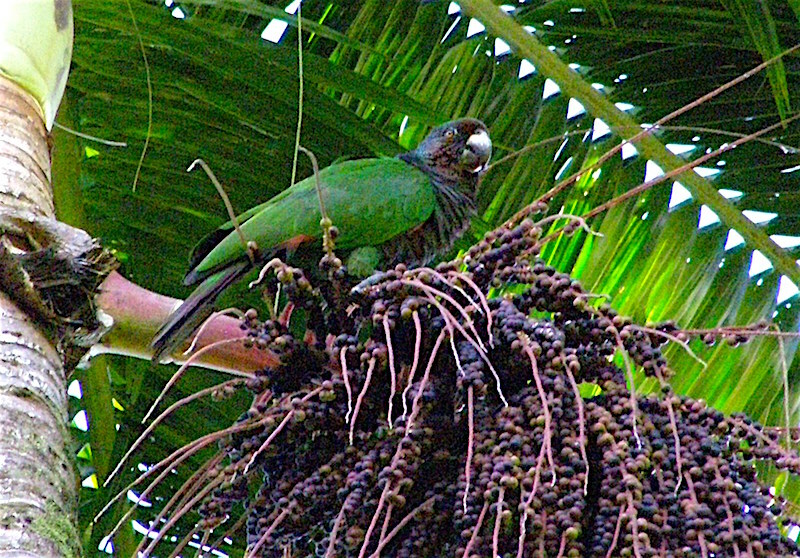 Despite the confidence of local and international experts (who have been working in Dominica with the parrots since 1981) that on-island efforts to support the recovery of local populations would be successful, some politically-appointed individuals within the Government of Dominica, apparently decided to facilitate the export of these parrots as an “emergency measure” to support the establishment of a captive breeding population in Germany by the Association for the Conservation of Threatened Parrots (ACTP). Conservation programmes for threatened species should be guided by recovery action planning based on sound science, engagement by all stakeholders, and international laws and guidance. Conservation programmes for threatened species should focus firstly on recovery of wild populations in the wild, with captive breeding as a last resort. There are many risks associated with captive breeding, including risks in transport, transmission or exposure to new diseases, acclimation to a new environment, and loss of genetic diversity and natural behaviors. These programs must be carried out in an extremely careful manner and risks increase if the program is in another country. Captive breeding programs can be an effective and important conservation tool (e.g., as shown for the Puerto Rican Parrot), but they must be based on sound science, be proposed and vetted transparently to the conservation community, and wherever possible, be in the country of origin. Threatened species programs must involve and empower to the maximum extent possible the local organisations and communities who are ultimately the stewards for the species. 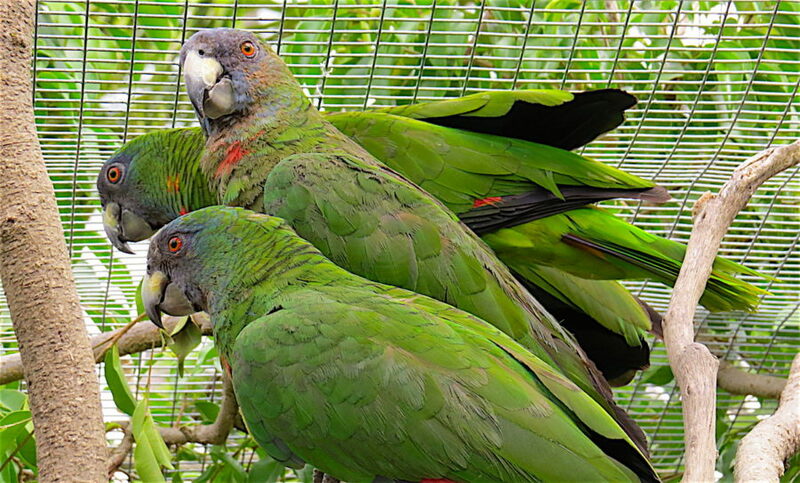 BirdsCaribbean suggests that there are legal, scientific and ethical reasons to question the export of Sisserou and Jaco parrots from Dominica. The export of globally threatened species is controlled under the Convention on International Trade in Endangered Species (CITES) to which Dominica and Germany are both signatories. Export permits are granted through the local CITES management authority, which may only license export of threatened (Appendix 1) species under very strict conditions. In Dominica, this is the Environmental Coordinating Unit (ECU). 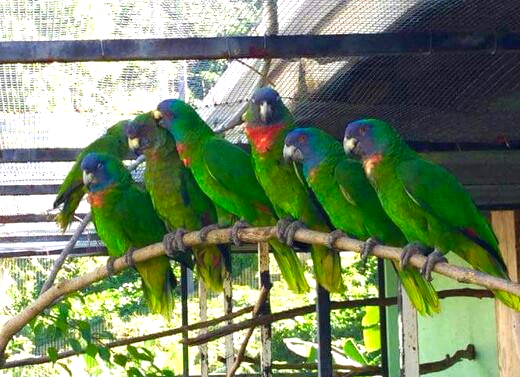 BirdsCaribbean has been reliably informed that the permit for the export of these parrots to Germany was not granted by the ECU and the ECU was not consulted. Additionally, Dominica was under suspension of all trade under CITES since January 2018 for failure to file annual reports for three consecutive years. Therefore, no CITES Appendix I species should have been permitted for export. No proposal for emergency action was presented to Forestry, the personnel responsible for animal-care at the aviary, nor ECU. BirdCaribbean is surprised that a permit would be granted by any authority, because it would appear that the export is detrimental to on-going local conservation efforts. We are especially concerned about the export of the Sisserou, partly because their local breeding populations are smaller, and partly because two individuals are not sufficient to establish a breeding programme. This calls into question the scientific justification for this export and whether there may be additional requests for exports in the future. In addition, the scientific authority for CITES in Dominica, the Forestry, Wildlife and Parks Division, was also not consulted about the export—no proposal, conservation plan or agreement was shared with the team in charge of parrot conservation on the island. Instead the arrangements were apparently made in secret and the birds taken without the knowledge or permission of either CITES authority on the island. Our Dominican partners remain committed to the on-island conservation programs and the protective measures it has developed for its parrots over many years. Thanks to generous donors, BirdsCaribbean has assisted in Hurricane Maria recovery by shipping more than US$12,000 worth of supplies to aid recovery of Dominica’s parrots, including bird feeders, bird seed, tools and field equipment. We have long supported outreach, education and surveys conducted by Dominica’s own experts, who have decades of experience and knowledge. We believe that the conservation of Dominica’s parrots is best done in Dominica by Dominicans, – supported, but not undercut, by foreign entities. We know that the people of Dominica are resilient and proud of their beautiful birds and in particular, their National Bird, the Sisserou. For this reason alone, the recent removal of these birds from the island calls for far more explanation and justification than has been made public. Share this article with your networks. Sign the petition: Return Native Endangered Parrots from Germany to Dominica and share with your networks. This article was originally published by BirdsCarribean. For more interesting news from the world of parrots visit our Parrot News Section.